Instagram is everywhere! Be it social networking, live streaming or marketing, Instagram is amongst the leading platforms in every field and the reason for that is the remarkable growth recorded by Instagram over the past 2-3 years. Lately, Instagram’s importance and contribution to the marketing industry has swollen and is being integrated into the mainstream digital marketing strategies as an essential element. Not only it boasts over 600 million active monthly users, but also offers the highest rate of engagement as per Forrester Research Inc.
Utilizing Instagram may be tricky, but is extremely rewarding. The perfect combination of techniques and strategies will definitely aid your marketing strategy, leading to increased brand awareness and sales. In order to make Instagram work for your business in the most effective manner, you must switch to Instagram Business profiles. Instagram Business Tools were unveiled by Instagram not long ago. Their suite of business tools features Instagram Business profiles, Instagram Insights, and promotion. Instagram Business profiles are uniquely-designed profiles for businesses willing to be recognized as businesses on Instagram. These profiles distinguish regular users with brands. In order to switch to Business profiles, you’ll have to update your Instagram iOS or Android application to the latest version. Once updated, you’ll have to access your profile and tap the settings icon. There you’ll find an option labeled as Switch To Business Profile, Tap it and you’re good to go. Once you’ve switched to the business profile, you’ll have to set it up. Setting up business profiles is pretty simple too. You’ll have to connect your Instagram profile to your Facebook page. While this step seems unnecessary, Instagram’s representative labeled it as a ‘Security Measure’. Next, you’ll have to add some contact information including phone number, email, and location. Setting up your Business profile will enable a contact button for your profile, which will let your customers contact your or navigate to your location with a single tap. Instagram Business profiles extend convenience offered to your existing and potential customers. Enabling Instagram Business profiles also unlocks access to Instagram Insights and Promotions. Instagram ‘Insights’ is another Instagram Business Tools’ feature, which is extremely useful while making Instagram work for your business. Instagram insights provide actionable information about your customers and posts, which will enable you to evaluate the performance of your business and provide relevant content to your clients. The offered insights include impressions, reach, website clicks, follower activity, video views, and replies. You can also discover the number of ‘unique’ account that responded to your posts. Another highly anticipated feature of Instagram Business Tools is Promotions. In a nutshell, Instagram now allows you to convert your well-performing videos into adverts of your own specified time limit. 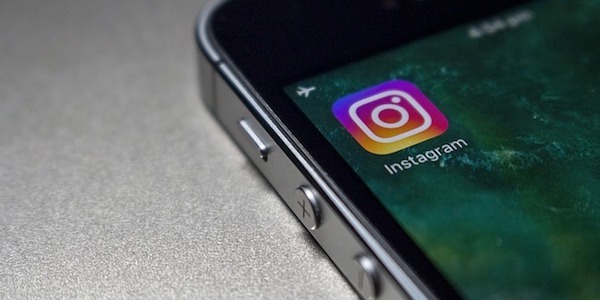 This is another useful feature to aid your Business via Instagram. While Instagram has launched their own set of tools, the usefulness of third-party marketing tools cannot be ignored. These tools will let you integrate Instagram into your Business. Tons of Instagram marketing tools can be utilized to convert your Instagram galleries into shoppable feeds. Tools like Like2Buy and Foursixty will let you offer maximum convenience to your customers as they’d be able to explore and shop products directly via your Instagram page. These tools will drive sales, resulting in soaring profits. You can also acquire services from third-party Instagram tools to purchase followers, likes, and views. Tools such as Vibbi will let you buy Instagram likes and followers for your profile, to exhibit your profile as a credible and trusted source. Wishpond is another amazing marketing tool, that’ll enable you to run and manage social promotions and conduct contests including photo contests, vote contests, caption contests and Instagram hashtag contests. You can employ this tool to increase brand awareness and uplift customers’ base. Scheduling and posting can also be assisted with third-party Instagram tools. You can utilize tools such as Schedugram to schedule your posts to be posted at the right time, to target the maximum amount of customers and deliver the most relevant content to them at the right time. Making the most out of Instagram Business Tools and utilizing the perfect combination of third-party tools will assist you in maximizing engagement and ROI for your business.